Hire That Millenial… And Keep Them! Are they just flakey? We think not. The quintessential Millennial has garnered a reputation for being elusive and hard to retain. Especially in the professional world, where they can at best be seen as frustrating to work with, and at worst just downright disloyal. That along with their perceived disrespect of ‘proper’ work place culture has underscored apparent weaknesses such as fickle-mindedness and a predisposition to being non-committal. Most Gen X’ers along with the Baby Boomers are now in a position of leadership and they are left scratching their heads. Cynics among them at a loss at how to ‘deal with’ Millennials. While harsh, this point of view is the truth. With globalization and the rise of incredible job opportunities the world over, more than ever before, loyalty has become a less valued…value. Yet, for employers especially those of small businesses, employee retention is the most crucial factor to ongoing success. For a small business to thrive, there must be stability and a strong employee backbone. That means one thing: employee retention. And with time, Millennials are going to make up the majority of the workforce very soon. The Bureau of Labor Statistics in the United States estimating that by 2020, 75% of the workforce will be made up of the M-generation. With data like that, if you are one of the Millennial critics, you are going to run into trouble. However, we don’t think it is all bad. In fact, we think they are misunderstood. They have good intentions and are infinitely invaluable to your company. Full of fresh ideas, flexibility and big picture thinking they can add immense depth to your business. You just have to know how to keep them hooked. Intrapreneurship is real. Get on board with it and let it add the fourth dimension to your business. 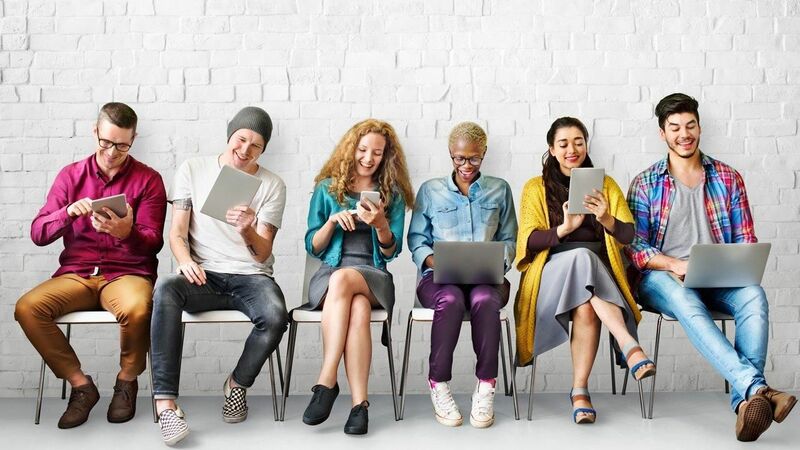 No longer content to just be confined to their deliverables, Millennials seek and want opportunities to stretch their professional legs and grow. Once they can do the job, they want additional growth projects that can see them expand their creativity, problem-solve and generally add value to your organization. Consider implementing a weekly task for your younger staff that gives them a real or imagined business problem to chew on. Let them generate ideas and give their feedback. You might be surprised at what you get out of the exercise. Although they are of the ‘selfie’ culture, Millennials are typically not fans of hypocrisy and can smell it a mile off. Looking for companies that embody their values, they want to work with organizations that are aligned with who they intrinsically are. No longer content to just have a job, they are driven to seek and inspire. When they work for an organization that they personally feel aligned to, they are then moved by their organization to live out these values. It is a positive feedback loop of the best kind. You put your values in place and live them out, and Millennials will be your greatest asset; embodying these values and living them out. Inspiring themselves and their organization in turn. It’s all just feeds back into itself. A win for everyone. Niceness and goodness are vital for Millennials to be engaged. You want them to stay? Do more outreach and get them involved. There might be a slight grumbling at crunch time but at the end of the day, they get to feel good and part of the larger community and so does your business. Make your business a gateway to good things. That will keep them content and more likely to stay in the longer run. This entry was posted in Business, Recruitment and tagged corporate social responsibility, CSR, Dubai, employee retention, globalization, Millennials, UAE. Overseas recruitment – what does it really cost?